A small selection of my art prints. As is common to most artists, I enjoy experimenting with various art media. In recent years I’ve investigated drawing on the iPad screen – I prefer to use my finger, rather than a stylus. With this new media I draw much as I always have – rendering with my hand (and heart) the everyday world. This type of drawing still requires me to use the traditional drawing, and compositional skills I’ve learnt over many years. Of course, for iPad art, the only way to give it a physical home is to print it. In this way it is akin to a photographic image. I record here some of my research, thoughts and experiences, in printing both my iPad artworks, and my art in traditional media – often there’s mix of media within each print. I also write about these areas in blog posts. I think sharing information about digital printing, and iPad art, can only be a good thing; as it seems there’s (though it’s changing) a lot of misconceptions – often negative ones – about both these areas. 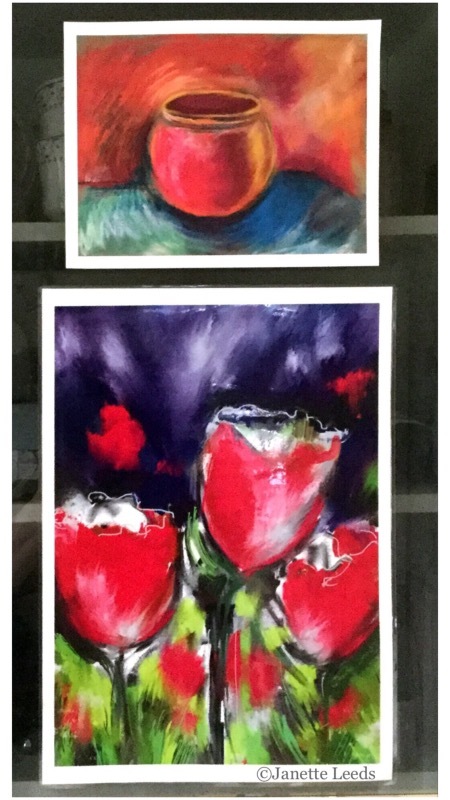 Differences between iPad art “original” prints, and “reproduction“ prints. About giclee/inkjet printing – with links about “open” and “limited” print editions. About prints I do myself, and my art in general – updated 2019.
sprinkled throughout this page, as they expand on some of the points I make. *Some are links to other websites. I don’t necessarily agree with all their viewpoints. I’ll keep this page updated with any info and links I find helpful; and hope it will also be a help to you. 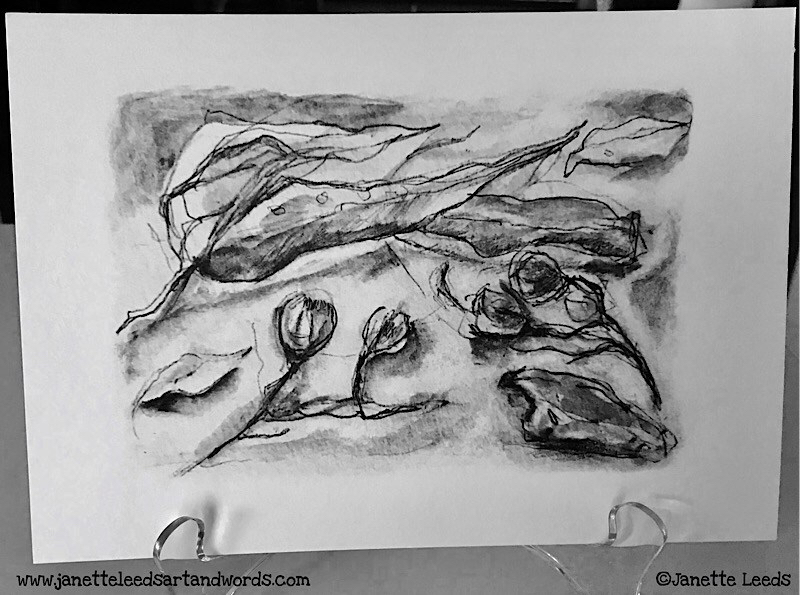 I live in a small country town in Australia, and my website/blog is a great way to share my art and words – and also be inspired by others! Thank you ahead of time, for ploughing through this rather long page. *A link, to one of my posts with a downloadable “iPad Art Info pdf”. Over the years I’ve often used a colour copier/printer to scan, and make “reproduction” prints of my watercolours, ink pen, and pencil works. These were mostly used to illustrate my poems, for my hand made books. I generally worked in a small size, A4 and under. This was a good size for printing, and my art and writing projects could fit nicely on a “stable” table, which was also my studio. It perched easily on my lap – that’s if a child wasn’t there already, and I could also quickly put my work up high, away from small hands when necessary – which was often! Though I always made sure they had their own art and writing materials to use. A “stable” table, with my iPad air 2 on it. A handy, compact studio! Sometimes, I’d play about with a print: adding a top coat of an acrylic gel medium, some times I’d add a tint to the gel, and when it dried, I’d add a little more watercolour and so on..
A colour copy of a watercolour, with some added tinted gel medium. These days I have a bit more time and space for my art and words. Primarily I still work smallish – with some larger, usually canvas works thrown in occasionally. The size of an iPad screen quite suits my purposes. *I share more about apps I use, on my page, “Some App Information”. I began with an iPad mini, moved on to an iPad Air 2, and now use an iPad Pro 10.5 – an excellent iPad; though all of them have been great to use. I always have a keyboard attached, which makes things even easier. A fellow blogger, Paul Longo, certainly does some great work on his iPad Pro, you can see some of it at his blog, “portfoliolongo”. I still frequently use my “stable” table, and I still like to print some of my traditional artwork. To do this I use an excellent app called, “Scanner Pro” to scan in my works, (sometimes I take a photo with the iPad camera) on paper or canvas. After a tidy up around the edges, and perhaps a touch of work added in an art app, usually “Procreate”, I can make a good quality “reproductive” print. Watercolour on paper, and some art app media. This has since, been printed onto Canson 220 paper. I was pleased how the texture showed through. Often I need to make further adjustments to the overall saturation of colours of a scan, so the print better matches the original – the paper I choose to print on directly impacts on these decisions. *More about the paper I print on further along. I use the iPad for any editing or adjustments needed for printing purposes. *This is a cropped section of my watercolour on paper. After I scanned it in, and cropped it, I added a little more ink pen and wash, using the media in Procreate – which you can see here in this video. It turned out well on the prints I made of it. I used the “Vont” app to add words to the video. 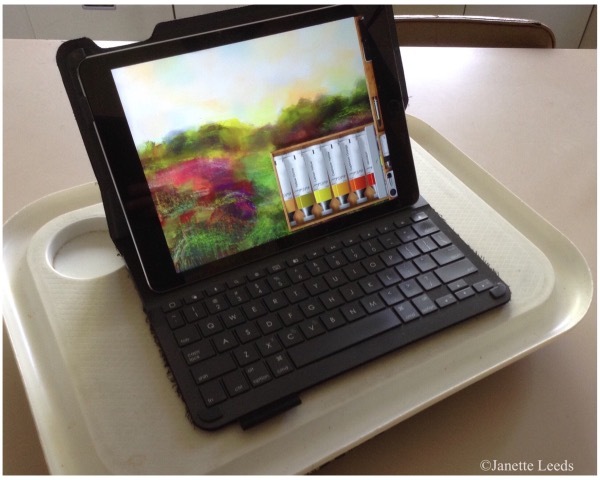 My art for printing is sent via my iPad, to my home printer – more about that in section 3/. I have some prints on my “Shop” page. I also select some of my art for my Red Bubble shop, mainly of a more pattern and illustrative style – which suits the items I have available there. The iPad (with an attached keyboard) has become an invaluable tool for many of my creative ventures. I also built this website on it – I rarely use a computer for anything! 1/ Differences Between iPad art “Original” Prints, and “Reproduction” Prints. I’ve continually printed, in one way or another, some of my iPad artworks, since starting out on this adventure. 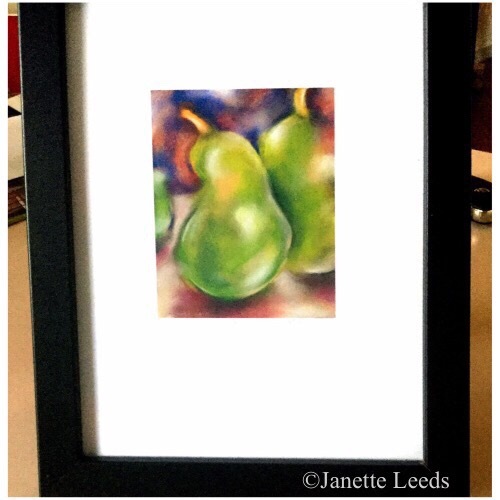 Each of my iPad art prints is an “original print”, not a “reproduction” print of a work in another medium. Not that each print is a unique, one of a kind, as in a “mono print”. But that each iPad artwork I choose to print, is only fully realised as a finished work, when it takes it’s home in print form. Sometimes my iPad art has a “reproductive” component, where I scan in the beginnings of a drawing or painting on paper or canvas; then hand draw on it further in an art app, before printing it. The “Scanner Pro” app, continues to be a great app to use for this purpose. It often captures more detail than the iPad camera. At times, I also add traditional media to prints of my iPad art – a little more on this further along in section “3/ About prints I make at home”. *Some examples here, of where I’ve used the “Scanner Pro” app. Little Gallery Carousel, What is an ‘Original Print’ ? In traditional hand pulled prints, “proof prints” are made, and the “plate” or “matrix” – whether it’s a linocut, a lithographic stone, an etching plate.. – is adjusted accordingly, to get the final print result the artist wants. Below is a link to a print glossary of traditional (and some more modern) printmaking terms. “International Fine Print Dealers Association” – Print Glossary. I see the iPad artwork, within whatever art app I’m drawing or painting, as a “pixel plate”. A cropped slice of a larger iPad painting. When I print one of my iPad artworks, I need to do “proof prints” and make any necessary changes (with my finger, which I prefer, rather than use a stylus) to the drawing or painting – the “pixel” plate – to get the print I want. This I can do immediately when using an inkjet printer at home. This is also a help as a preview, before I upload it to my Red Bubble shop. As I prefer to make my own art prints and cards, I use this shop for mainly products I don’t make myself. At one stage I laser printed a swatch of colours from one of my favourite art apps, “Art Set Pro” as a guide. Didn’t take me long to fairly know how my art on the screen would look printed. I rarely use laser printing nowadays, as I find pigment ink on matt paper has the quality and look I prefer. This print of my pencil drawing showed a pleasing range of tones. Tried to capture that in this photo – difficult to do. Will tint a print with watercolour. Although iPad art is a digital art form, and I’m essentially working with pixels, I don’t know anything about computer digital art, or photoshop. I rarely use a computer – for anything. Fortunately for iPad art I don’t need to have any of those skills. Drawing on my iPad feels like I’m just swapping one kind of paper, for another kind of paper! 2/ About Inkjet/Giclee Printing – with links about open and limited print editions. I’ve spent some time researching, what in particular is required to make a good quality inkjet or giclee print – a term commonly used – which is fundamentally an inkjet print. Like other artists painting with pixels, I want to offer a good quality home for my digital artworks. It was a term coined to differentiate these better quality prints, from earlier inkjet prints; which were often a poorer quality: in colour, paper, and inks – usually prone to fading. This Wikipedia link and those below, give thorough explanations of the origins and meaning, of the term. Briefly – some points about “open” and “limited” edition prints – (more info in the links above). In digital printing, an artwork can be made available in an unlimited number of prints, these are commonly referred to as “open” edition prints. A “limited” edition, is as per the title, a limited print series of an artwork, often a digital “reproduction” print of a work in another medium. But also a structure used for “original” artworks/prints by some photographers, digital artists; and for hand drawn artworks/prints on an iPad. This limitation allows for a series of prints of a specified number: ten (or less), twenty or more…numbered, usually signed, and often sold with a certificate of authenticity. More info on these certificates in this article: How to make a certificate of Authenticity for artwork. This purposely imposed limitation, can make it more of a collectable, unique artwork. *I lean towards offering “open” edition prints, and “one of kind” prints – which are those with traditional media applied to the print, more on that in section 3/ below. In a hand pulled print edition, a limited edition is the usual course of things, as the “plate” will eventually wear out. An “open” edition digital print, whether a “reproduction” or “original” print” is usually sold for a lower price than a “limited” edition print. 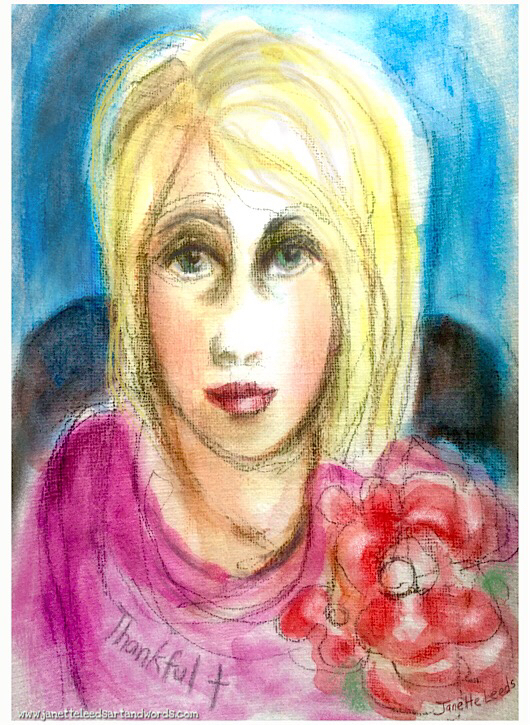 A print, of a quick sketch in “Tayasui Sketches 2”, and some paint in the “Art Set Pro” app. FIDELIS ART PRINTS What is a Giclee Print? Describing Your Inkjet Printed Art “A prickly topic between artists, printmakers, dealers and art galleries”. The article in the link above, is a good overview of the recent history in the use of the term “giclee” and the need to clearly describe and define the various types of prints available through these newer print technologies. The confusion of which, has lead to (though not always deliberately) misinformation about a print: by art dealers and artists; and sometimes used for financial gain – not an uncommon practice in any field! A good point, as quoted below, made at the end of the article. These relatively new technologies in digital printing are certainly a cost effective, and an easy way for: digital, traditional and iPad artists, and photographers, to print and sell their “original” digital artwork, and also “reproductions” of any works on paper or canvas. 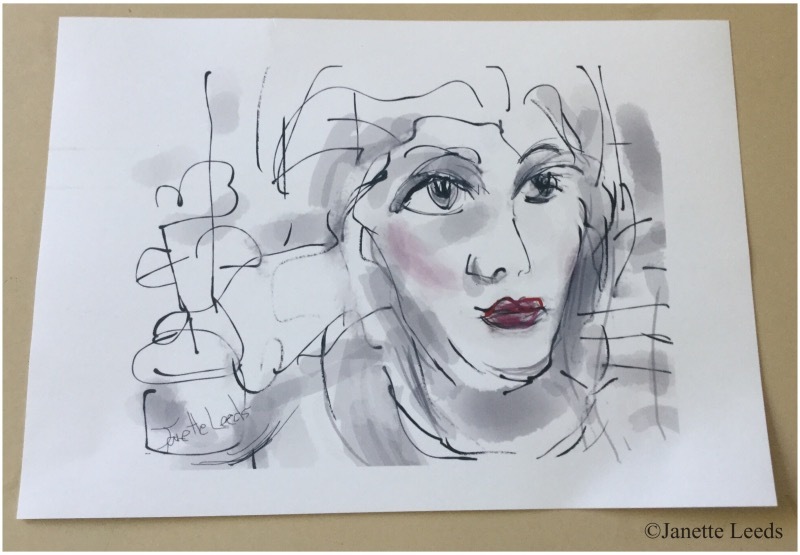 3/ About Prints I Do Myself, and my Art in General – updated January 2019. I like to do most of my own printing, but at times, I still have some of my art printed in the various ways: via my Red Bubble shop; via a pdf of an image sent to my local office supply shop (which I use sparingly); and occasionally through other printing services, one of which is an excellent printing company: Code Ice Prints. When I outsource my art for printing, I always keep a close eye on the overall quality of the prints. It was not an uncommon practice over the centuries, for artists to work closely with a professional Printer. And I don’t see that it detracts from the intrinsic value of my art print (though others may dispute that). Before purchasing an inkjet printer, I considered what makes a good quality art print. Some of which I’ve already mentioned. Good image quality: colour, tone, contrast; which of course also has a lot to do with the artwork itself. Fade resistant pigment inks – though dye inks are improving all the time. I initially had a dye based printer. Archival/acid free paper – the quality of the paper I’ve discovered, can make all the difference to the colour and tonal qualities of the print. I looked into buying a Epson P600 or a Canon pixma Pro 10, however, I decided on an excellent quality, and less expensive Epson printer a: Workforce 3620 – *now 2019, using a Workforce WF—7710 . Printed and placed into a simple black frame. This one also prints on A3 size paper, a handy option. Importantly, it uses pigment ink . As well, it can handle the thickness of a variety (up to 300gsm) of beautiful inkjet – and non ink jet papers: Arches, Daler-Rowney, Fabriano…watercolour papers; Bockingford inkjet watercolour paper, Canson Rag Photographique, Hahnemuhle Photo Rag, Washi – a bamboo paper: each one, has it’s own particular beauty in how it brings out the colour and tones in an image. This printer has only four ink colours, though I don’t let that stop me getting the image print quality and colour I want. To do this, I make any neccesary colour and tonal adjustments (with my finger) on my iPad drawing or painting, (and sometimes I use a little art app media on scanned in artworks for “reproductive” printing) during the proof printing stages. I also use the editing tools in the iPhoto section on the iPad. *It’s common for an image to need some editing to get a good quality print. The lower cost of this printer and the inks, also allows me to feel less precious about adding traditional media to the print – something I often like to experiment with. When comparing one of my print images, with the same image from a more expensive (outsourced) printer, it’s very difficult to discern any difference. I’m quite pleased with the excellent results! If you need to print larger than a A3 size, you can use an app called “Big Photo”. It resamples and increases the overall pixel size of an image, without losing any image quality in the print. I use it to increase the pixel size of my art on items in my Red Bubble shop. More about “Big Photo” (finding this app was a real blessing!) and other apps I use, on my page, “Some App Information”. I sometimes use Epson Archival Matte paper, which gives and excellent print in colour and tone. I’m keen to use eco friendly papers, and try to source from companies that have good environmental policies. I send my art to my Epson printer, via my iPad. Firstly, I like to centre an image on a page, and leave a white border around it before printing it. For my Art cards I use a template, in an app, called “Pages”. I centre the image, and allow for a border in the “Pages” app, and send it to the printer from there. A quick pencil sketch I did in one of my sketch books. I scanned it in to work on further as per the next pic. After scanning it in added a bit more pencil in”Procreate. This is it printed; with colour pencil and mat varnish on the print. I use the LCD panel on the printer to put in my settings, which are usually for: matte paper, borderless, and A4, A5 or whatever size I want. I don’t like the quality of the print sent from the “Epson iPrint” app, so I just use it to check the ink levels, and I order ink through there. So far I’m very impressed with how long the inks last – I print regularly, and it’s months before I have to order any. In a nutshell the below paragraph describes the prints, I make at home. I much agree with the quote a few paragraphs back, from “Fidelis Art Prints”. As well as having art for sale locally, I have some of my art available on this website, in my shop. watercolour (Windsor and Newton, and Sennelier ) – water doesn’t make the pigment ink print run. As mentioned, I often use (non-inkjet) watercolour paper (and some drawing paper, particularly Canson 220gsm paper) in the printer; both 180gsm and 300gsm – with great results! The non-inkjet papers (some are %100 cotton) work not only well for stand alone prints, but are excellent for further work on the print with traditional art media. If I saturate the colour and adjust contrasts, etc… in “iPhotos” on the iPad, a print looks equivalent in quality to the prints on inkjet paper. Also, I love how the various paper grains show through. I enjoy doing a small series of prints of the same image, and varying the way I use traditional media on them. These can be called, a Variable Edition “VE” or Edition Variable “EV”. I look for good lightfastness, and archival qualities in whatever art media I use. I printed this scanned in oil pastel, and then added a bit of oil pastel, a gloss medium, and a satin varnish on the print. Yay, no need for glass on the front. And finally, a link to this interesting article below, an offer of more “food for thought” – I found it a tantalising and agreeable piece. Thankful to God†, for all my creative opportunities. If you have any questions or enquiries, you are welcome to send me a message via my Contact page. 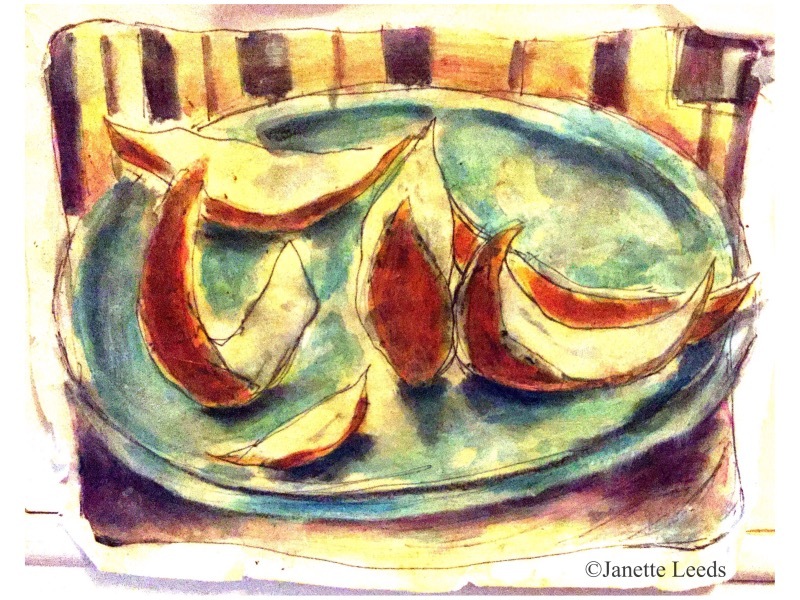 All images and text © 2014 -2019 Janette Leeds. Thank you Ken, for stopping by to comment, and your kind words. I love what you do with your paint brush! My brushes are looking a little lonely – about due to have a dab about with them. It is fun, to paint or draw on just about any surface, or as you call it “ground”. Hope you get to do some art on an iPad, good fun. Such a high tech device, but drawing and painting on it, somehow manages to have quite a natural “feel”. Of course using good quality art app media, makes all the difference. Thanks for all the info. I’m considering jumping into printing my iPad paintings from home soon and appreciate the insights here. Appreciate the feedback about longevity too. Hi, Fred, glad to be of help. Thanks for the feedback. 🙂 I did sneak, “went” actually 🙂 over to your facebook page, and saw a little of your work – looks great! Hope you do get to print some up – it’s good fun. If you have an website, or an online portfolio, perhaps, you could put the link in the comment section here. It’d be great to see more of your work. Danke! Ich kann German ein bisschen. Also used an online Übersetzungswörterbuch. 🙂 Guten Tag, Wolfgang! Interesting stuff Janette! Thanks for sharing your experience. I had some of my iPad art printed, and I was nearly always very pleased with the result. It is important that you check and judge the prints yourself, to be sure of the right colour and quality. For me, the most difficult part of the process to a work of art is the last part: presentation. How do you frame your print? It just makes all the difference. I prefer to look at the print with a protection layer that doesn’t show, in a solid frame without glass in front of it. The result is astonishing, but expensive. In the end fine art printing is not really cheaper. Thank you Rob for your comment! I learnt lots doing the research for this page; and hope it’s a help to others. I agree, fine art printing isn’t cheap, and with the price of framing it can all get out of hand! I think the prints I make are fine art enough for me 🙂 and far more economical to make – which also frees me up to “play” more with the print. And I thoroughly enjoy all the processes. However, presentation though important, is not something I excel in… I’m most likely to just tack up a work unframed (traditional or iPad) or put it aside somewhere, and get on with the next one. 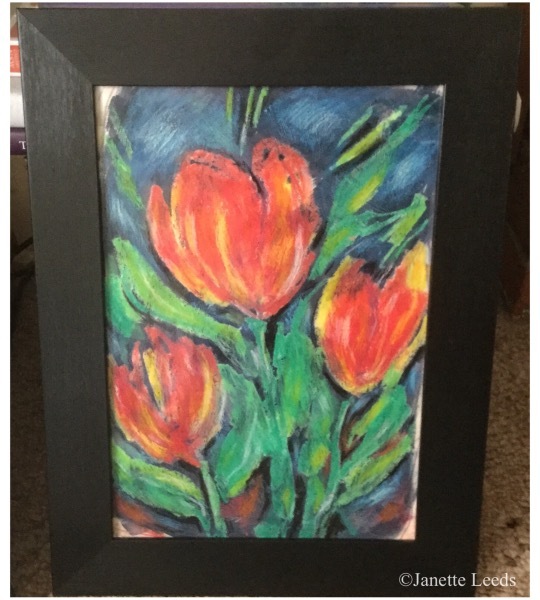 I’ve not often exhibited my art, or had it for sale, though I may look into this more in the near future. However, I’m keen to keep the cost down, and I quite like the look of a simple (usually black) frame… no matt board, a white boundary showing around the print, or on a watercolour etc.. though pity it will need to have glass. 🙂 I know about the conservation aspects of framing, but I think perhaps the purchaser could look into that. Also, I’ll sometimes use a frame, with gloss gel medium on the print (and with care it can also be used over a gouache or watercolour painting) with a brush of satin varnish for the finish. The “protection” layer sounds great..though not sure what it is? Hi Janet, Thanks for your reply. Indeed, I hadn’t noticed it yet. I like your experimenting attitude. In the future I might consider to buy my own printer to do just that. I have had one ten years ago in the pre-iPad age and used photoshopped images in combination with painting. At the moment I live a nomadic live, which makes it too complicated to have my own super printer. But the chances are that I will move back to my home country next year. We will see.